Partner King Series KS1 - Is This The Cheapest Smartphone? Check Out! At the time when so many smartphones are out of reach to the average individuals because of recession, hard economy, high exchange rate and above all, high cost of gadgets and commodities, Partner mobile releases what seems to be the cheapest Android smartphone in Nigeria. 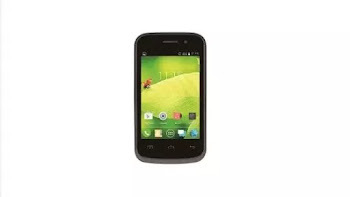 The Partner King Series KS1 is a cheap smartphone but i bet you, you will not like to have it. Guess what... The specs are wacky. In fact, it's better you get it as a Christmas gift for your worst enemy. Lol 😁 na joke o. But on a more serious note, it's too poor in every ramifications. Thanks to the extremely affordable price. In Nigeria today, looking for a smartphone for N10,000 is like looking for a virgin in..... 😜 but here comes one. I know many people are stuck with their kpalasa phone as there is no money to get a better one right now. But how long are you gonna wait? Hmmm God help Nigeria. Anyway, check out the full specifications of Partner King Series KS1 Android smartphone below. Hahahahahahaha 😂 I can't just stop laughing. It's well. Wetin be this One na? Wizy na your guy " Confy " ooo, Which kind Stone age phone be this na?